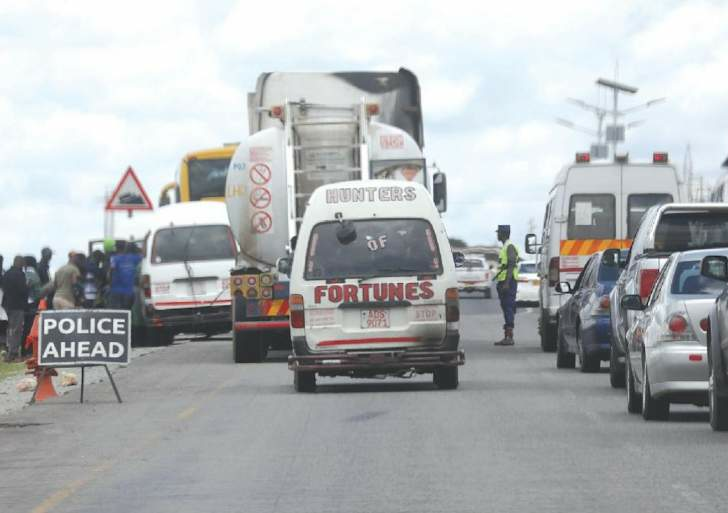 State security agents have maintained a heavy presence on the country's major roads following a three-day stay-away that took place early last week. This comes after some civil society organisations are calling for yet another stay-away next week in a bid to force government to look into demands being made by the citizens. A survey by the Daily News on Sunday yesterday showed that all the major roads leading to cities and towns had roadblocks manned by police officers and soldiers. Along main highways the roads are also jammed with roadblocks. The State security agents were searching cars heading into the city centre and asking for identification from motorists and passengers. Police said they were mounting these roadblocks to search for goods looted in the just ended violence that saw shops being looted. Apart from searching for looted goods, the security agents' heavy presence is meant to also quell any possible protests amid claims that soldiers went on a door to door crackdown, beating up people in most high density suburbs. According to the Zimbabwe Human Rights NGO Forum, at least 12 people died during the crackdown, while dozens more were treated of gunshot wounds and several others were injured.